Azur Serie FRROM Kit No. 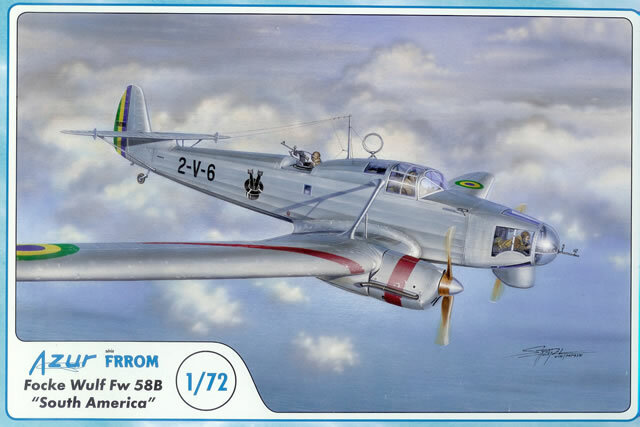 FR010 - Focke Wulf Fw 58B "South America"
Available on-line from Hannants for £24.67 . Very good levels of detail for the scale with nicely moulded surface finish. A minor point for most, but dorsal gunner’s position must be cut out. A good kit of an interesting subject. I have always thought of the Fw 58 as a German equivalent of the Avro Anson in many ways. It was primarily intended as a replacement for the Junkers W 34 to train navigators, radio operators, air gunners and bomb aimers, as well as being suitable for general liaison duties and light bombing. The prototype first flew in 1935, and it was produced in two main versions as the Fw 58B or C, as few A’s were built. The B had a glazed nose and open dorsal gunner’s position, whilst the C had the nose and dorsal positions enclosed. The Fw 58 was licence built in Brazil and Bulgaria, and operated by numerous air arms including those of Germany, Austria, Argentina, Brazil, Bulgaria, Croatia, Czechoslovakia, Finland, Hungary, The Netherlands, Poland, Romania, Turkey and The Soviet Union. 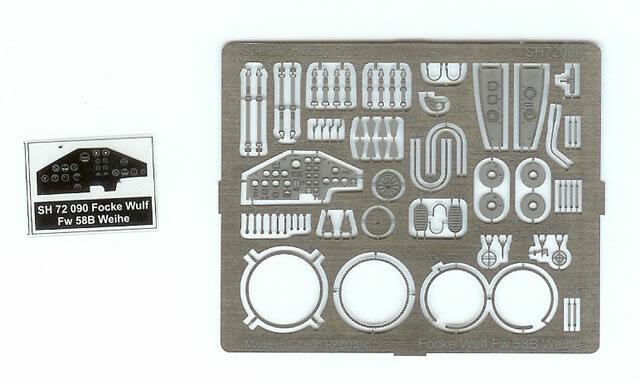 I’m aware of two early 1/72 kits of the Fw 58, one by Karo-AS Modelblau and the other by Commando 5. These were limited run styrene and resin offerings respectively. I had two Karo-AS kits (both the Fw 58 B & C), they were true limited run products that could result in a nice model after some quite serious effort. 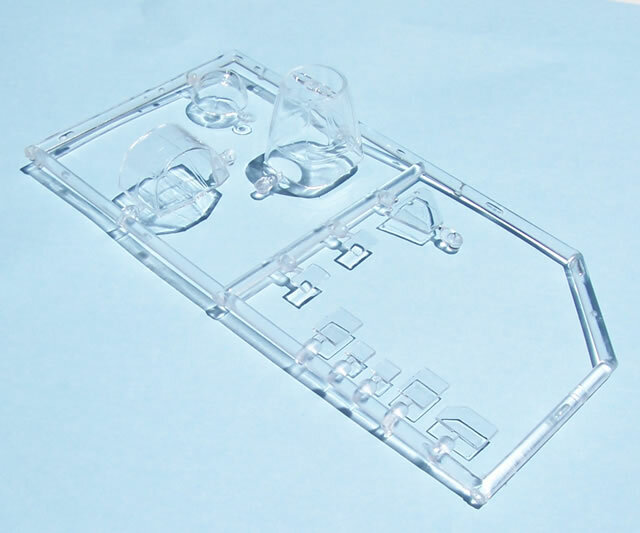 I have only seen a review of the Commando 5 kit, which by all accounts is a good quality resin product. 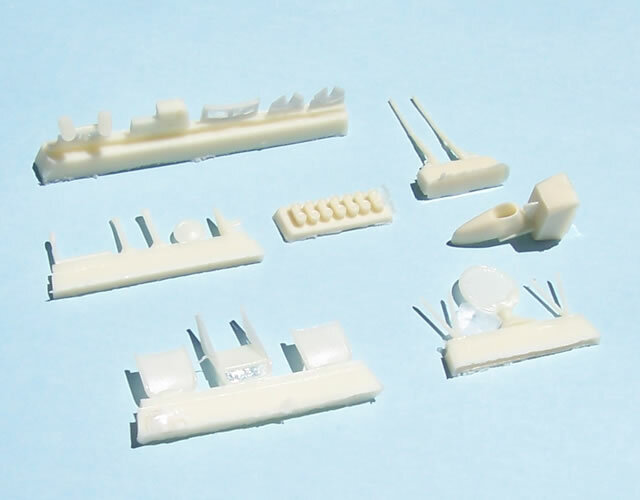 Therefore there was a clear opportunity in the market for a reasonably priced modern styrene kit of this important if somewhat overlooked aircraft. 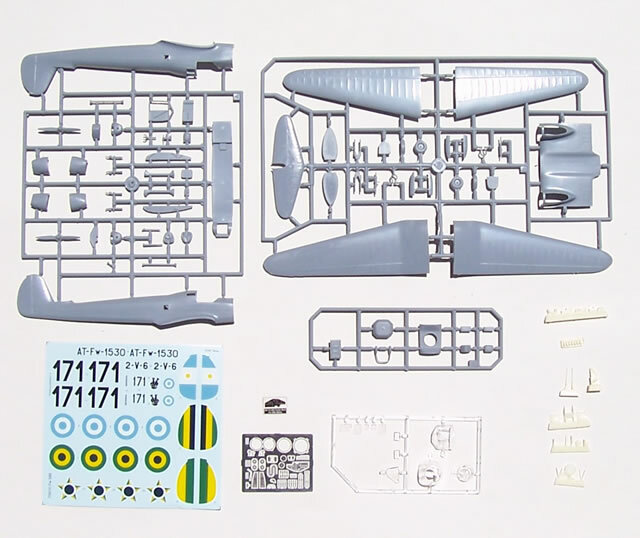 Special Hobby responded to this opening 2-3 years ago with Fw 58 B & C kits in various boxings. At the time I thought it a pity Special Hobby had not offered any South American schemes. Well now Azur has issued the same kit in a South American boxing, which for me and hopefully many others is most welcome. (Azur have also issued the Fw 58 with two choices each of markings for Hungary and Romania as boxing # FR0009). The kit is boxed in a top-opening box with attractive artwork. 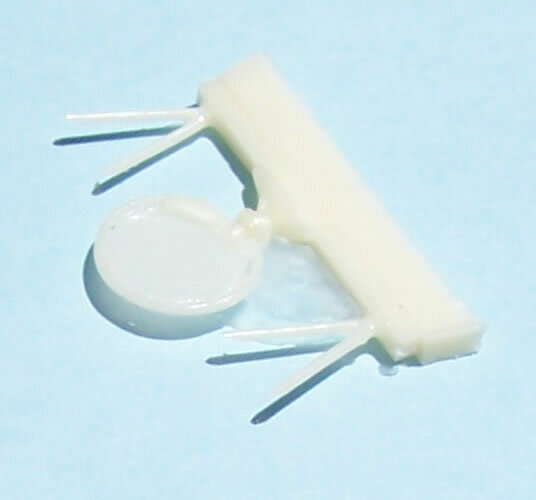 The cleanly moulded parts without locating lugs are sealed in their own plastic bag, as are the styrene clear parts. 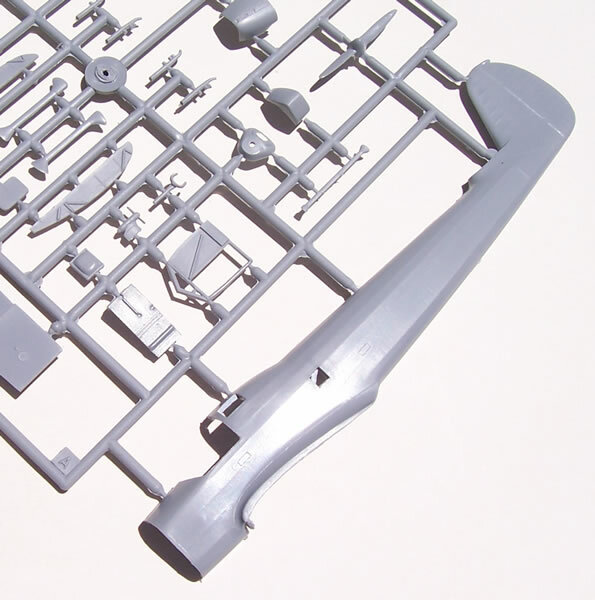 Additional detail parts are provided in the form of resin and PE, again both bagged. The instructions provide a brief aircraft history in both English and French. An easy to follow parts map is included. The constructional diagrams are well drawn, provide generic colour call-outs, although the interior is specified as RLM 02, and are straightforward to follow. The painting and decaling guides are black & white shaded 4-views with generic paint names as well as Gunze Sangyo paint codes. There another type of paint code, but I cannot identify the brand concerned. There is a small note in the painting instructions advising that the colour schemes are down-loadable in colour at www.cmkkits.com. I checked this out, but this release is not yet listed. 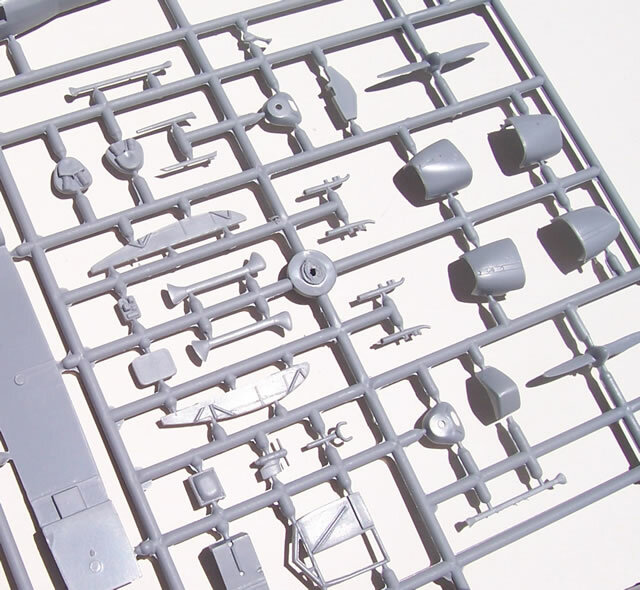 I did find however that for those kits that are listed that if you select the kit concerned, and then double-click to open the instructions options, that a coloured version of the painting and decaling instructions is available as jpg file to be viewed or saved. The kit breakdown is thoroughly conventional. 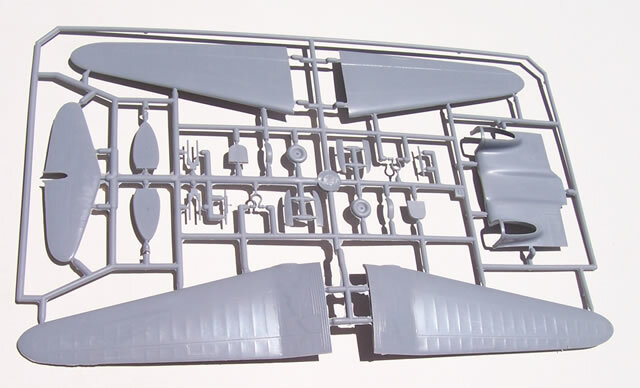 The shared fuselage moulding is optimised for the Fw 58C, so it is the B version that requires some saw work to prepare the dorsal gunner’s position, for which an insert is provided. This is a minor concern for most, but there will be those who don’t like it. The airframe parts nicely capture the fabric covered structure that predominates aft of the nose and wing leading edges. 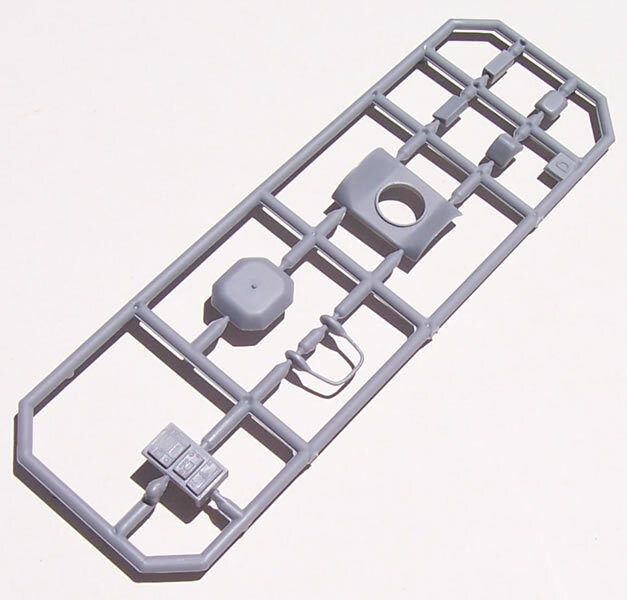 Good levels of cockpit interior detail are achieved with a combination of styrene, resin and PE parts. 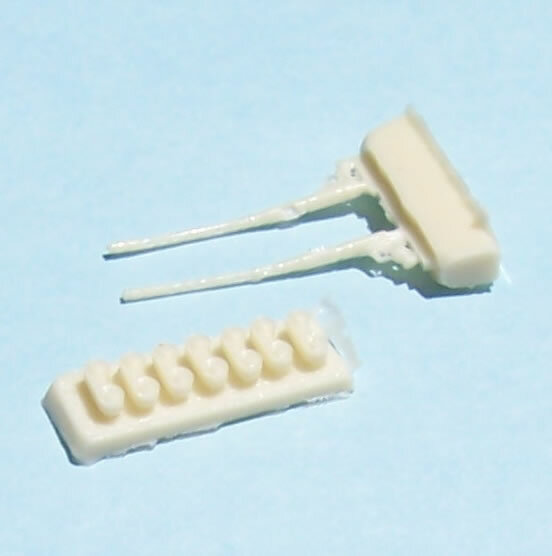 The resin parts are ok, but are a bit bland in appearance and have a fair amount of flash in places. The large PE instrument panel with photo-negative dials will look especially good, along with many other delicate details. A nice touch in the cockpit is two detailed blanking plates to cover off the inside of the wing roots where they would otherwise be visible as large gaps above the cockpit floor. 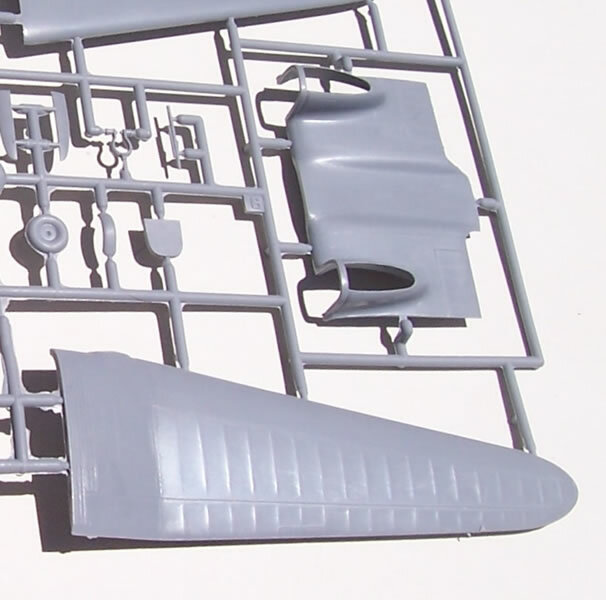 Clear and acceptably thin canopy parts will enable this cockpit detail to be admired. The two resin guns are ok but nothing special, with plenty of magazines and a PE mount for the swivelling position in the nose, plus a PE ring and vane sights. For some reason only the nose gun is shown as installed for any of the versions, despite there being the open dorsal position as well. The undercarriage is a fairly complex affair, and is well captured with mud-guards and their delicate braces, along with PE wheel hubs. Some care will be needed getting everything set at the correct angle to ensure that the model sits correctly. 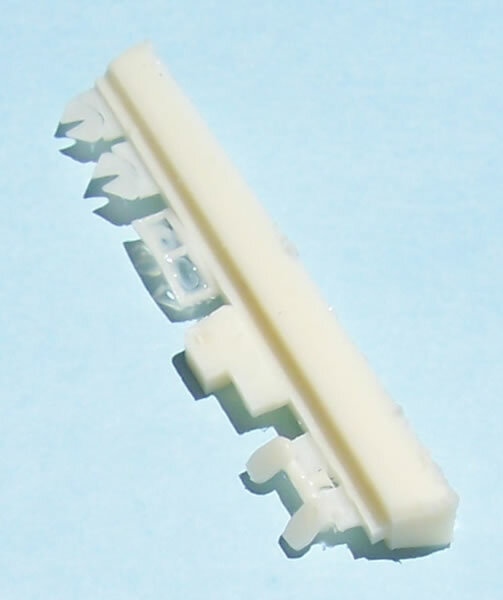 However, there are good locating lugs for the undercarriage, which should help. 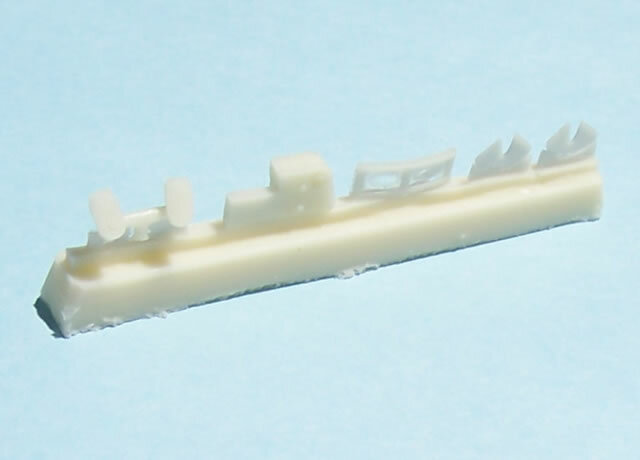 This is a nice touch in a limited run kit, as correct placement is so important to a model’s finished ground stance. As with many limited run kits, I feel the propellers are a bit uninspired in their appearance. There are also large but easily filled sink marks in the spinners. I feel resin blades and spinners would provide a nicer result in this case. However this is nothing that a little filler and some refining can’t overcome. One other minor point, the resin DF-loop will need to dipped in warm water and made more circular, or be replaced with a wire loop. This is a very nicely detailed and moulded kit of an interesting subject. 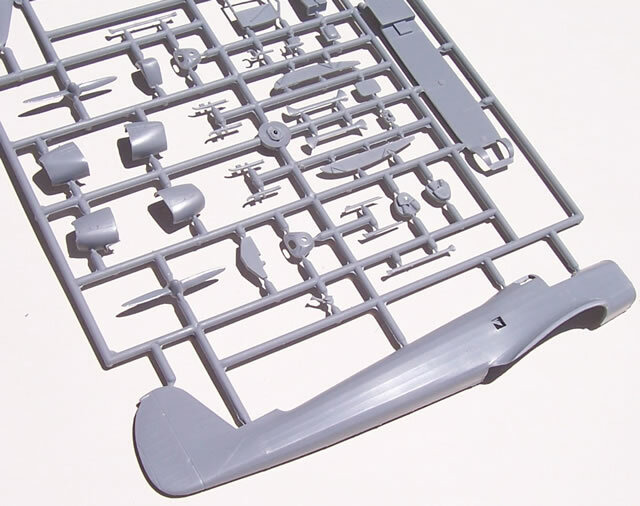 It is typical of the kits from the Azur/Special Hobby/MPM stable, where a bit of tidying up and fit adjustment is likely to be needed, but a very good result should be achievable without much too much effort. Azur’s offering of decals for South American operators previously ignored in the Special Hobby issues is most welcome. At the time of writing I could only find one on-line stockist, and the kit is not even listed at the manufacturer’s E-shop yet. No doubt it will be available from the usual Azur stockist in due course.